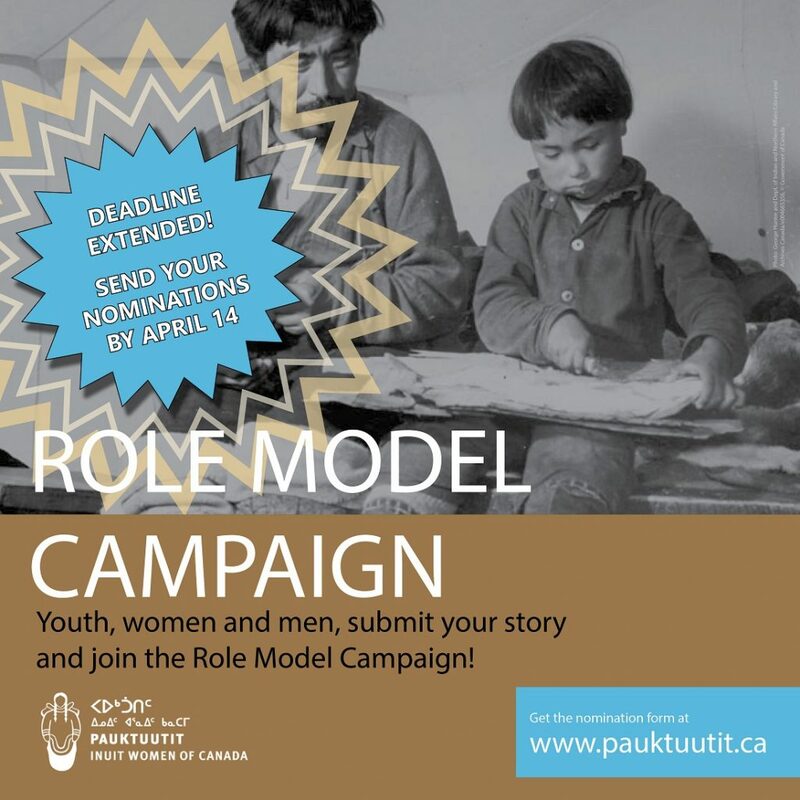 On March 22, 2019, Pauktuutit Inuit Women of Canada launched a national Role Model Campaign call for nominations. 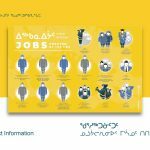 This project is about encouraging people to nominate Inuit community members who demonstrate healthy relationships, gender equality, and how to live free from violence. One of the ways you can support this campaign is to start a conversation about these important themes, and if possible provide them with some time and space to write their own nominations. It is also possible to identify a person together and create a collective nomination. When you nominate someone, you are letting them know that they help you in your daily life. You also create an opportunity for others to learn from them. The deadline for nominations is April 14, 2019. The nominations can be sent via fax or email, they can be hand writing or typed, if possible, a teacher can become a point person to collect submissions and send them to us. 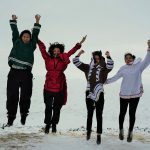 Up to six individuals will be selected (through regional and then national committees) to be interviewed in their community and featured in videos and posters that will be shared online. 1-613-238-3977 extension 251, 244 or 234.